A home network facilitates communication between PCs, tablets, TVs, smartphones and countless other devices so we can share information, stream audio and video into our spaces, provide automation and control of our home and much more. The network provides a gateway to the Internet as well, allowing us to stay connected with family, friends and colleagues, access streaming services like Netflix and monitor or control the growing number of Internet-enabled household features and devices. "The network is the digital foundation of the home," says Ken Briggs, Sr. Systems Designer of Gainesville, Fl. based integration firm, Electronics World. "Like a physical foundation, if it is weak in any way so are all the electronics that sit on it. The home network is the primary subsystem in a home automation system." 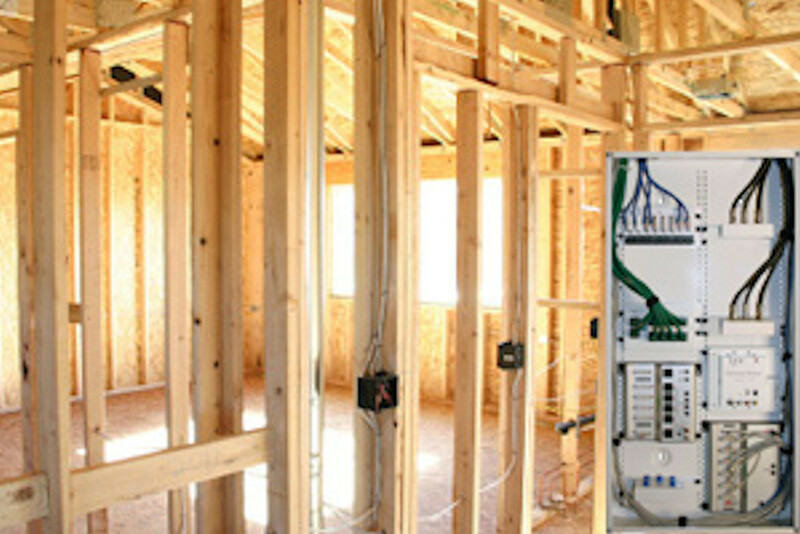 Briggs advises homeowners who are planning for a multi-room audio/video or home-automation project to think of the network as an infrastructure investment like electric or plumbing. Why is the network so important? "Most A/V and home-automation products these days are IP-driven," explains Justin Paden, Installation Technician for Electronics World. An average home can easily have 25 or more devices connected to the network simultaneously, he says. TVs, Blu-ray players, media streamers, A/V receivers, Xbox and appliances, wireless music systems and more each get their own IP address on the network. "All of those devices are talking with each other on a regular basis, grabbing information from the web and sharing information with each other 24 hours a day, seven days a week," Briggs says. "It's an information engine." Briggs says homeowners who are investing in home automation often mistakenly believe that the demands of a modern home-automation system can be met with common hardware you can buy at a typical big-box store. "Standard devices, such as inexpensive routers, are not prepared to service their home and do not offer the tools to solve bandwidth allocation problems" - tools that provide remote access to the system so the integrator can troubleshoot and often fix problems, avoiding costly service calls. The bottom line: You need an experienced installation technician who knows how to assemble a robust network - one built with the same "enterprise" hardware businesses use. Take Wi-Fi, which has become ubiquitous in our lives. "Your wireless is only as good as the routing and switching," Briggs says. "Without a good router and a good switch, it's not going to do the job." Factor in the growing trend of using Smart Phones and iPads (tablets) to control home entertainment, lighting, temperature and you-name-it, and the network becomes even more critical. "If you use basic, off-the-shelf wireless boosters in a large home, you'll drop off one and have to disconnect and reconnect to another if you're walking around with an iPad," Briggs says. By contrast, a properly-built network will see that the signal is getting low on one access point and jump seamlessly to the next one. As we look ahead, the home network becomes even more important. "It's really the future of entertainment," Briggs says. "We have more and more cloud services at our disposal, and the cloud is absolutely dependent on your home being connected to the Internet. Whether it's an iPad streaming music from Pandora or Netflix on your television, it is all being delivered by your network. The ISP gets it to the pole and to your modem but after the modem it's up to the homeowner to build an engine to move that information around the house." The best advice for homeowners, when you're ready to move forward with your home networking project be sure to consult a professional to design a scalable home network built for today's needs and your needs for the future. "It's no longer good enough to install some cat5 cable to a router with a robust antenna, that was okay in 2007" Briggs continues, "In 2016 there's on average 20 plus devices pulling bandwidth from a home network at any given point in time of the day along with portable wireless devices roaming the entire landscape of the home." Whether building new or retrofitting an existing home seeking the advice of a professional is recommended to ensure all of your devices will work seamlessly across your network regardless of their type.